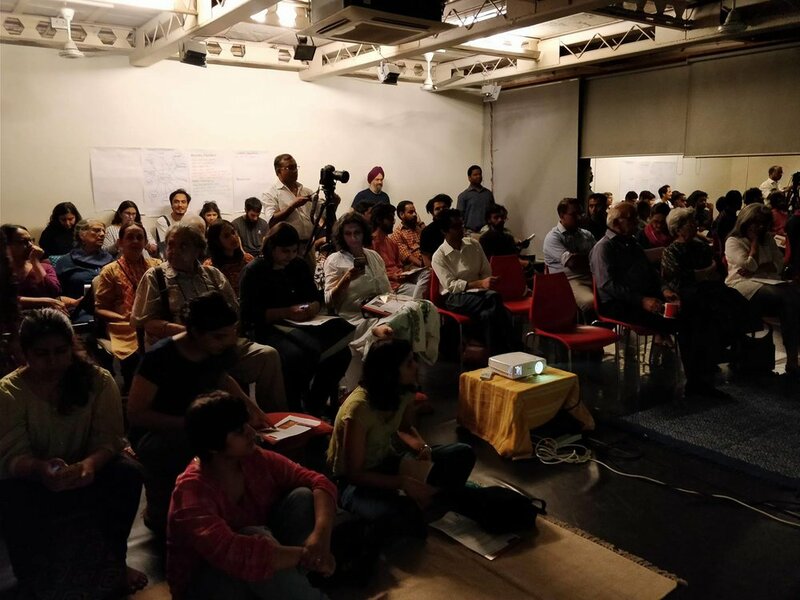 Foundation for Indian Contemporary Art (FICA) in collaboration with Oxford University Press conducted 'Epistemic Ties: Thinking and Seeing', a talk with B.N. Goswamy and Orijit Sen in conversation with Sarover Zaidi on April 1, 2018 at teh FICA Reading Room. What possibilities of thinking can an image offer us? Is it a form of transcribing history or beauty; is it about the everyday life of people or the life of the mind and spirit? Is it telling us one story or many, or multiple stories, simultaneously? Is it important to know the way images are created or can we be content by just knowing their gestalt? How many truths does beauty really hold? Orijit gave us a glimpse into the multiplicity of Punjab that he has intricately recreated in his 75 metre-long mural at Virasat-e-Khalsa Museum. B.N. 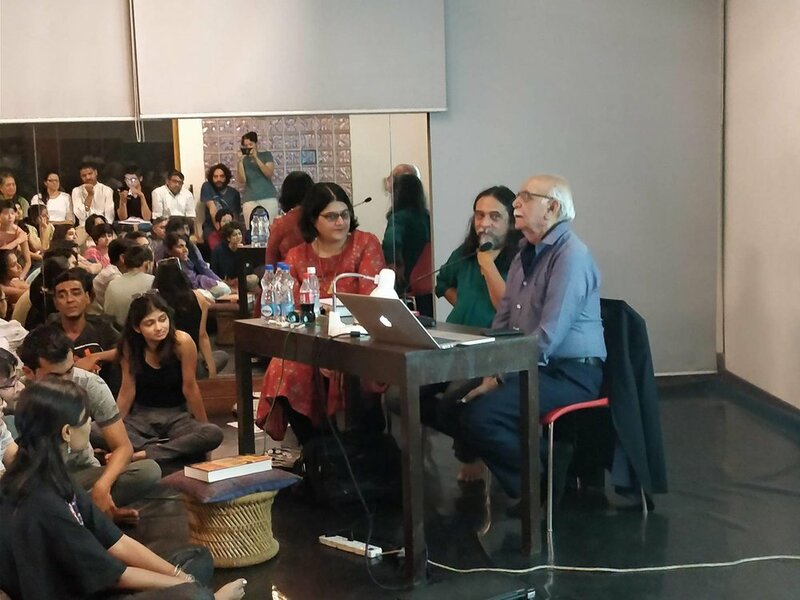 Goswamy revealed some of the questions that art historians ask themselves, and how he thinks back on artistic intention. 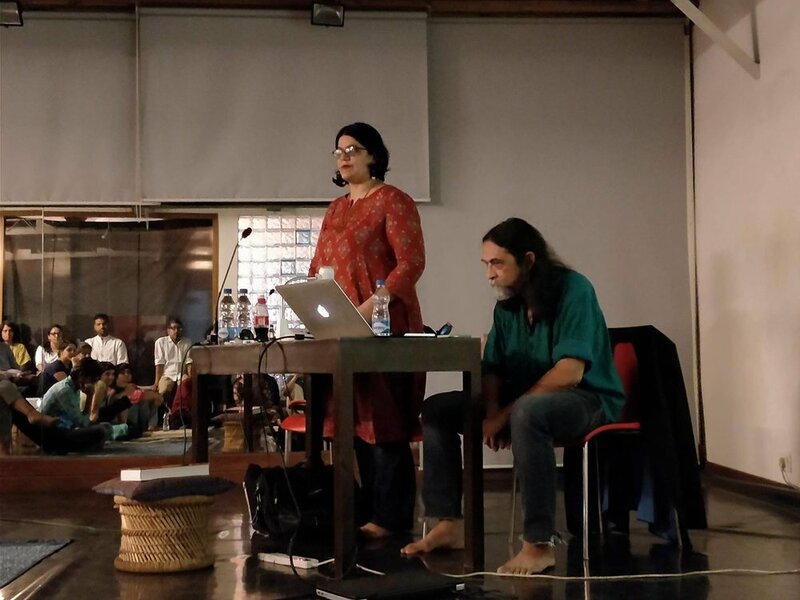 The discussion with Sarover Zaidi centered around questions of framing arises from both their practices, and their decades-long conversation was wonderfully enriching to witness, even in such a short time. Professor B.N. Goswamy, much like the poet Kabir, effortlessly weaves for us stories, writings, poems, and analysis with the wondrous world of philosophical concepts, colour theories, erotics, metaphysics, intensive details, and everyday life, work, and poetics emergent in Indian art. We speak to him in the context of his new book Oxford Readings in Indian Art (2018). Professor Goswamy, a distinguished art historian, is currently professor emeritus of art history at Panjab University, Chandigarh, India. Orijit Sen picks up a conversation he possibly started with Professor Goswamy around ten years ago, when he put together a 75-metre-long mural at the Virasat-e-Khalsa Museum in Anandpur Sahib India. This mural presents not just an exhaustive labour history of Punjab, but also dwells on the social, religious, and political landscapes that have come to inhabit its history and contemporary life. Bringing together his years of work with artisans, Orijit uses techniques of miniature art in the mural format, something unique, but entirely in tandem with his smooth ever-emergent creative style. He was a founding member of People Tree, a collaborative studio for artists, designers, and craftspeople, and he is currently involved in writing books, organizing exhibitions, art, and collectives. Sarover Zaidi is a social anthropologist. She curates 'Elementary forms'—an interdisciplinary forum on art, architecture, and anthropology. She teaches at the School of Planning and Architecture, New Delhi, and at Jindal School of Art & Architecture, Sonepat, Haryana, India. Her current research focuses on iconography in Islam, religious architecture, urbanism, and material cultures.